There is an A.A. Meeting held every Monday and Thursday night at 6:00 p.m. at the JC/MC Community Center in Mountain City. For more information call Chuck at 423-957-0171..
(423) 727-8592| Office Hours: 8 a.m. – 4 p.m.
Saturdays from 9am – Noon at the Johnson County Welcome Center Lower Level. Harbin Hill Farms:dinner mix (triple washed) lettuce, plus collards, kale, bok choi, winter squash, swiss chard, scallions, celery, spinach, romaine, bib lettuce, bell peppers, escarole, garlic, a variety of fresh herbs, farm fresh eggs, local honey, and pasture-raised (hormone-free, non-GMO fed)chickens. Dough Mountain Greiber Farms:Butternut squash, Horseradish roots, Jerusalem Artichoke, and Butternut Pies. Bakery:various breakfast pastries. Old Beech Mountain Farms:Beef & Pork, sausages, bacon, steaks, ground beef, and Dog bones.Sweet Spring Farms:Tuscan Kale, Cabbage, Kohlrabi, Long Neck Pumpkins (type of butternut), Garlic and Onions and Shallots, Sweet and Hot Peppers, Sauerkraut, Apple Cider Vinegar, Sweet Pepper Sauce, Whole fruit Red Grape Jam. Life’s Little Luxuries: freshly roasted coffees and milk.Hollow Stone Farm:micro greens, an assorted greens mix, carrots, radishes, herbal vinegar, herbal extracts, hand dug local quartz crystals, pesto, green salsa, sweet potato pies, carrots cake cookies, hot sauces, salad dressing, and seasonal mushrooms.The JCHS Culinary Arts Program:homemade pies and cakes and wood work from the MEPS class. TheCountryGirl:Gluten Free Double Chocolate Turtle Torte, Lemon Curd, Pumpkin Muffins, Garlic Asiago Bread, Tarts (Pumpkin, Lemon, Creme Brulee, & Butterscotch). Croissants (Chocolate, Chipotle habanero, Classic, Caramel Pecan Croissant muffins), Cookies(Irish Oatmeal Raisin Cookies, Gingerbread, & Chocolate chip). Along with Hot Cocoa, Handmade Jewelry, and Wreaths. Holiday pre-orders for baked goods at special pricing. Pat Heinemann:“leaves of stone”, knitted/crocheted baby afghans and knitted scarves.Littlebird:jams, jellies, diffuser jewelry, photo cards ..Rick’s Infinity Custom Knives: custom made knives and special orders. The Johnson County Senior Center will be having a Health Fair on Thursday, November 15 from 8:00am – 12:00pm. There will be area vendors and lots of good information available. 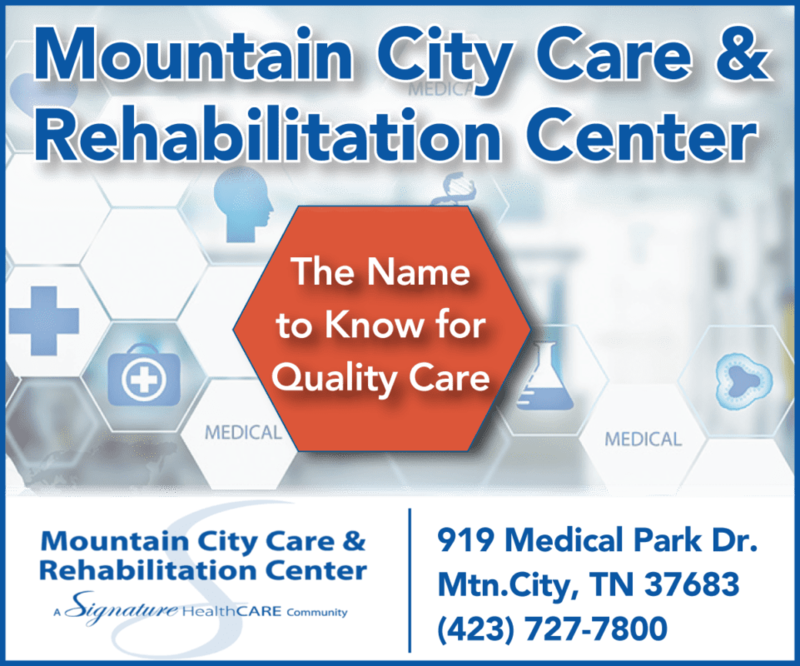 Caption Call, Ballad Health, Amedisys Home Health, Mountain City Care Center, Sunset Gardens Assisted Living, ACTION Coalition, Senior Life Solutions, Frontier Health and Community Care Clinic will be present. The Johnson City Medical Center will be doing blood work for senior citizens for $10.00 from 8am-10am. Anyone under 60 years of age can call the Senior Center to schedule an appointment for blood work for $20.00. A country breakfast will be served from 7:00am – 9:00am for $3.00. We would like to invite the community to the 3rd Annual JoCo Robos robotics tournament. Joco Robos Middle and High School robotics teams are hosting a state qualifying tournament this Saturday, November 17, at the middle school gymnasium. There are 19 teams registered that will be competing for 4 spots to the state competition. The event is free to the public. Qualifying matches begin at 9:30 am, lunch is from 12-1:00, with final rounds beginning at 2:00. We would like to show the participating teams how supportive Johnson County is to our robotics teams. Come cheer on their teams! The event is free. Special guest Baby Doll. November 17, bell-time 7 PM. Marty Kurtz Memorial, all proceeds go to the Kurtz family. Tickets: $8.00, Kids 6-12 $5.00, Under 5 free. Old Cove Creek School Gym, Dale Adams Rd. Sugar Grove, NC. It’s a Thanksgiving Feast at the Senior Center! The Johnson County Senior Center will be having a Thanksgiving meal on Tuesday, November 20 at 11:30am. The menu will consist of turkey, stuffing, mashed potatoes with gravy, green beans, coleslaw, cranberry sauce, pumpkin pie and a drink for $10.00. There will be special music and good fellowship. Take outs will also be available. Any age is invited to come to this event. On Nov 30 at 5pm -8pm Main Street will decorated with lights and vendors and local businesses will be open for business so that you can find that perfect gift for your friends and loved ones. See Santa and get your picture! Come out and enjoy the festivities. Christmas tree lighting 6:00pm with special singing. The Johnson County Chamber of Commerce will hold the annual Christmas parade on Saturday, December 1, 2018 on Main Street Mountain City at 5:30 pm. Ribbons will be presented in the three categories of : Business, Non Profit Organizations, and Churches. This year’s theme is “The Miracle and Magic of Christmas”. For applications and further information, please call the Welcome Center at 727-5800 or Nancy Drake at 727-7368.